Available for iPhone: you can download it from the App Store. 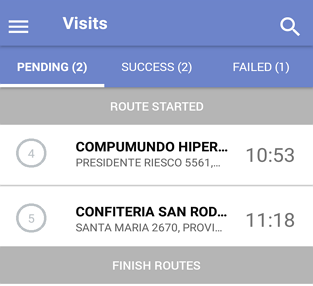 New design: the list of visits is now divided into columns: pending, success and failed. As users mark the visits, they will move from one column to another. Search tool: You can now search for visits by title, address or ID. Map view is faster. Tap the "location" button in the lower right corner to enter the map view. In the map you can see the current location of the mobile device (which will be updated while you move) and the location of your visits. 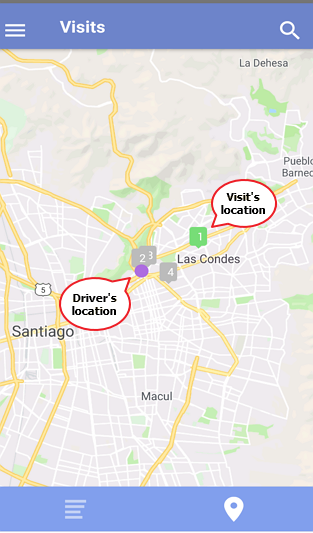 You can mark your visits both on the list and on the map. Select the visit and press the "Details" button to see more information. Then mark it as Successful or Failed. 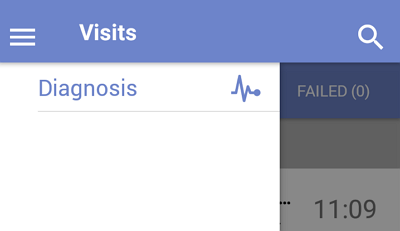 Changing visits status: did you forget to add info to the visit? Or you marked the visit as failed and then you managed to delivered it? Now making changes is faster and more intuitive. Just click on the visit (from the list or from the map), select the new status (Successful or Failed) of the visit. If you want to keep the same status, select it again. You will see the following message. 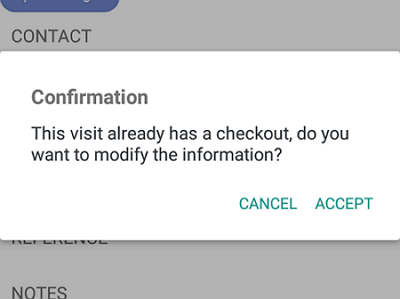 Tap on Accept to add or modify the information of the visit. Then, press the "Send" button and the info will be updated. Diagnosis menu: Tap on the three-line menu at the top right. 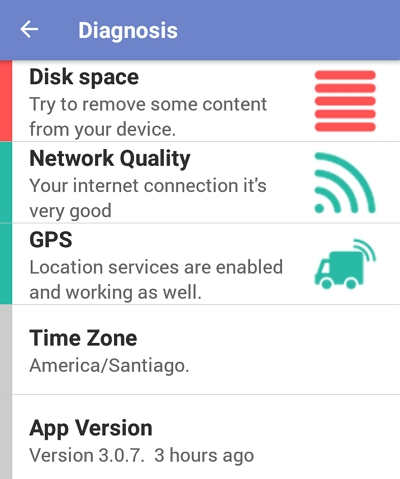 A list with three elements will be displayed: disk space, connection quality or GPS signal. If any of these icons are red, it means that something related to these functions may be affecting the proper functioning of the application. For example, if you don't see the position of the vehicle in the web platform, you can ask the driver to check if any of this options are red. Download it for Android here.